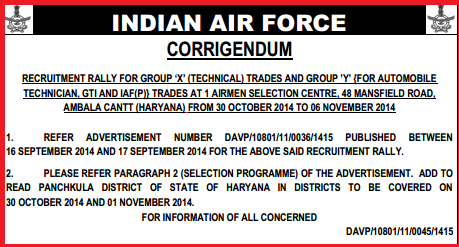 Indian Air Force (IAF) recruitment rally for Group ‘X’ (Technical) trades and Group ‘Y’ (For Automobiles Technicians, GTI,& IAF-P ) trades at 1 Airmen selection centre, 48 Mansfield road, Ambala Cantt (Haryana), from 30th October 2014 to 6th November 2014. 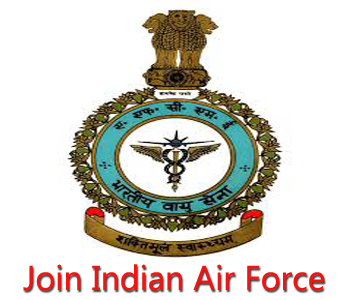 Indian Air Force offer opportunities for Unmarried Male Indian Nationals from the designated districts of State of Haryana to become an airmen. 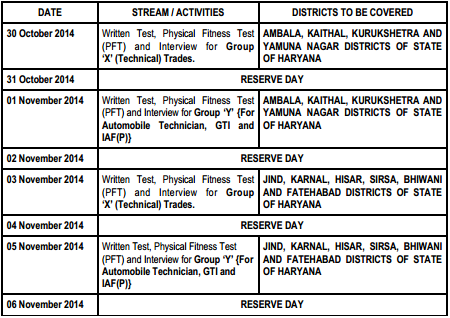 Upcoming Indian Air Force Airmen Selection Rally in Haryana State. 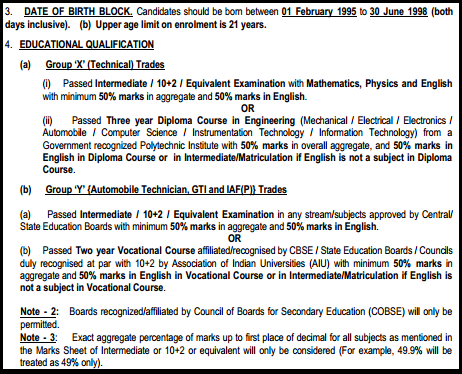 The recruitment test will be conducted from 7 A.M onward as per the details given below. 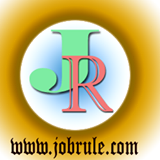 The recruitment test is not for selection as commissioned officer/Pilots/Navigators .